Tea Tree oil is regarded as one of the strongest natural antiseptic. Because of its ability to inhibit and kill the growth of bacteria, fungi & viruses, it makes a great medicinal soap for cuts & scrapes as well as a multi-purpose antibacterial and facial soap for everyday use. Tea tree Essential Oil helps beat body odour, clear up acne, help create naturally glowing smooth skin and also control blemishes without being overly drying the skin. Avocado Oil is rich in vitamins A, B, D and E as well as lecithin, potassium, protein, beta carotene and amino acids. Avocado Oil is great for those with skin ailments such as eczema, psoriasis, and other skin problems. Sweet Almond Oil is high in Vitamins E, A and D as well as Oleic and Linoleic fatty acids. With its emollient properties, it effectively softens the skin leaving it soft and supple. It also acts as a humectant, attracting moisture to the skin and preventing it from drying out. The soap came neatly wrapped in a transparent plastic film and the soap is square shaped. 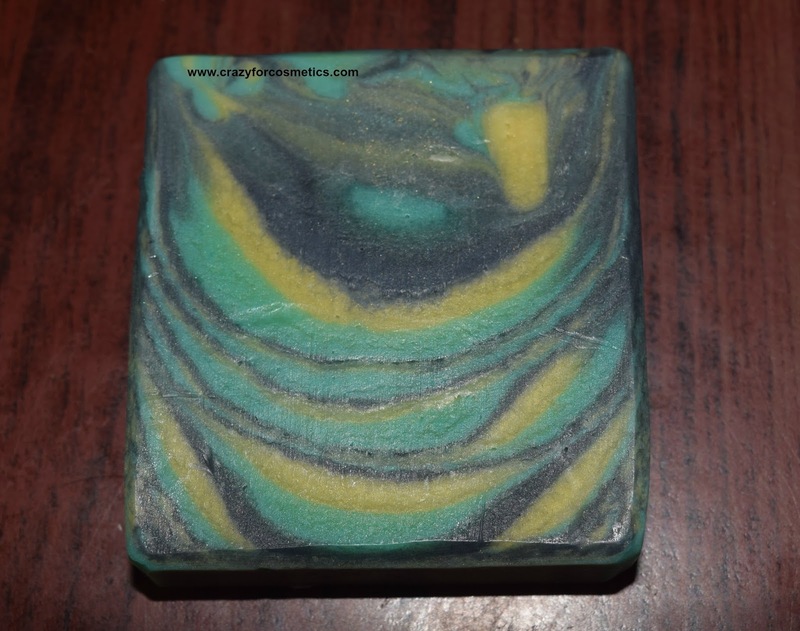 The soap is pretty colourful and the smell reminds me of the old MARGO soap, which is totally natural and pleasant. The soap lathers really well and removes all the dirt from the skin. It does not get used a lot for the amount of lather it produces and hence would last for about 20 days if used on a daily basis. The skin feels really smooth & soft post usage and it becomes clean too. The soap can be used by people with oily and acne prone skin and hence my husband was more excited to try it out. 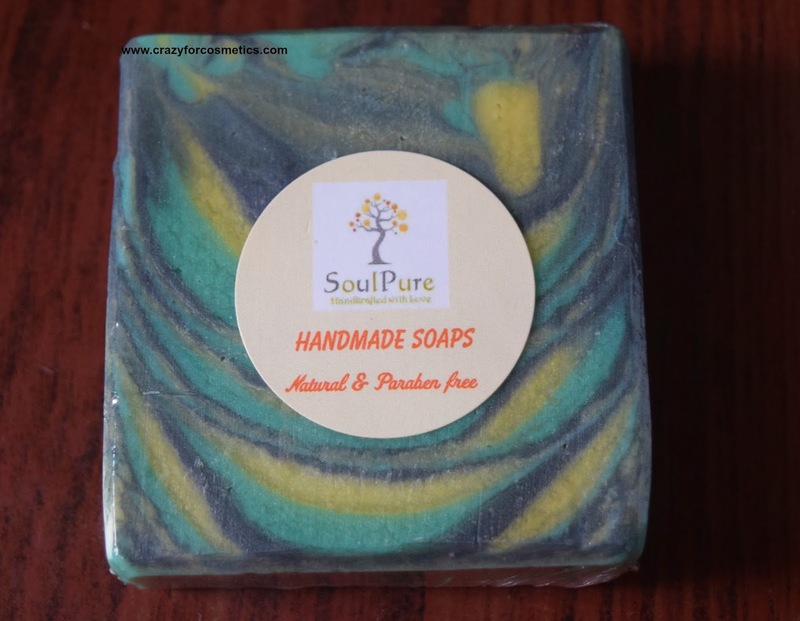 The soap contains several essential oils and thus the skin feels really smooth after even one use. 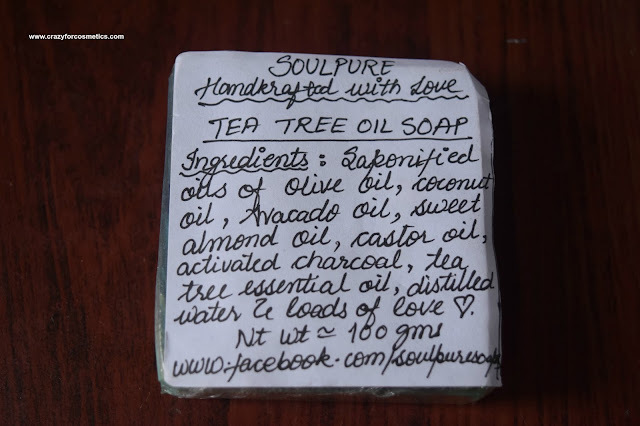 The soap is priced at INR 159 and it is definitely worth trying. The only con I feel is the shape of the soap (square) which is slightly difficult to hold and use. A normal round or oval shape would be much easier for usage. 1 : Makes the skin soft & supple. 2 : Smells natural and similar to Margo soap. 3 : Lathers really well. 4 : Soap would last for 20 to 25 days depending on usage. 1 : Square shape is slightly difficult to hold and use.